Spencer W. McBride, PhD, is a historian and documentary editor at The Joseph Smith Papers. 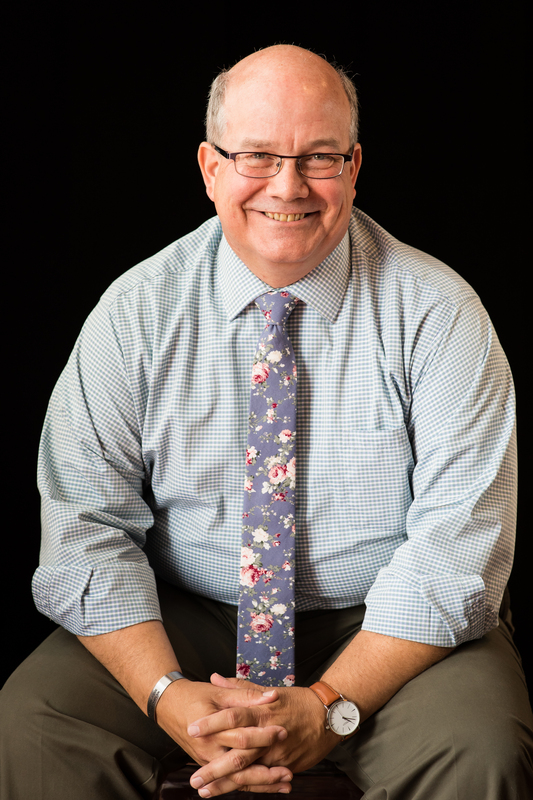 A specialist in the history of the American Revolution and the early American republic, McBride frequently writes and speaks on the evolving role of religion in American political culture. He lives in Salt Lake City. Follow Dr. McBride on Twitter @SpencerWMcBride Follow this link for more information and to purchase the book Pulpit and Nation. What was the reason that led you to write Pulpit Nation? The foundation for Pulpit and Nation was my doctoral dissertation. As a doctoral student, I set out to discover the actual roles of religion in the American Revolution and the process of state and national formation that followed. I read numerous diaries of early American clergymen and the lay men and women who sat in their congregations, as well as church records (including vestry minutes), sermon notebooks, and an assortment of other records in archives up and down the Atlantic seaboard. While conducting this research, I became fascinated with the curious interrelationship that I encountered: the political utility of religion and the religious utility of politics. I wrote this book in part to enable readers to understand the power, limitations, and lasting implications of early national leaders using religion (with clergymen as their partners) as a tool for political mobilization. Without giving away too much of the content, what is the main argument in Pulpit Nation? During the American Revolution and in the era that followed, early national political leaders strategically allied with the country’s religious leaders in an effort to forge a collective national identity among Americans. In part as a result of this alliance, religious expression was common in the political culture of the founding era, but it was often as much the calculated design of ambitious men seeking power as it was the natural outgrowth of a devoutly religious people. Why should people read Pulpit Nation? People should read this book because it demonstrates that while religion mattered in the founding of the United States, its role was different than what most people think it was. The ongoing debate about America’s founding as either a “Christian” or “secular” nation remains a common theme among politicians, pundits, and certain segments of the general public despite scholars’ warnings against such overly-simplistic constructs. 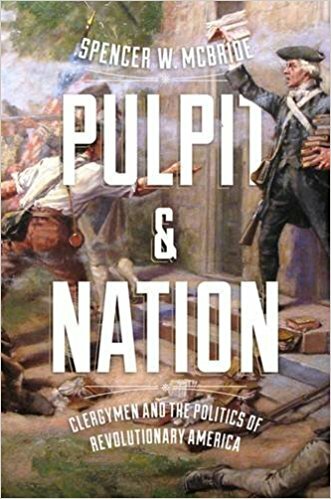 But in Pulpit and Nation I examine the history of religion in early American politics in all of its complexity, free from the constraints of the ideologically narrow and historically problematic “Christian Nation” debate. The result is an elucidation of how religion’s relationship to American power structures appears when we delve into the motives behind the religious utterances of men seeking to mobilize the public to one cause or another. In short, this book is helpful to any who want a fuller context for the roles religious language, symbolism, and persons played in the politics of the Revolutionary era. Of all of the people in the book, who is your favorite and why? I think that it is impossible for me to pick a favorite, but for me Bishop James Madison is easily one of the most fascinating. He chose to spy for the American cause by smuggling documents from England in his luggage, navigated the Revolution on the faculty at William and Mary, and after independence supported the disestablishment of the episcopal church even as he served as a bishop therein. In Bishop Madison, we see the attempt to blend religious belief with enlightenment philosophy that was occurring throughout the country in the life of one man. When did you decide to become an historian? I loved history from an early age. When I entered college I declared history as my major and never looked back. I not only enjoyed reading well-written and deeply-researched history books, but aspired to contribute to the field myself. I think that my desire to be a historian was fueled in part by my study of the Enlightenment, particularly the optimistic notion that if we can understand how the world came to be as it is, we can better understand the path forward to make it as we would like it to be. Like any profession, being a historian has its rough moments. But on the whole, I really love what I do! I currently have several projects in the works, but the one that I am the most excited about is a book on Joseph Smith’s 1844 presidential campaign. This little-known campaign—which ended in the first assassination of a presidential candidate in American history—illuminates several of the political obstacles to universal religious liberty in the United States during the 1800s, as well as today.